Earlier this afternoon, Lost Highway (graciously) released two tracks off Ryan Adams upcoming album, Easy Tiger. Have at it below. Also, check out Adams’ recent live cover of Alice In Chains “Down In A Hole.” Thanks to WDTB for the heads up on the live track. 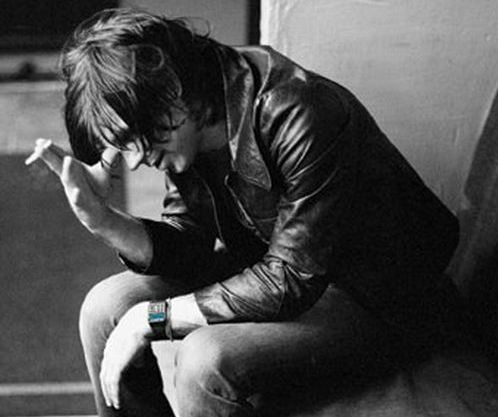 + Download Ryan Adams through eMusic’s 25 Free MP3 offer. I played “Two” on my show this week as we received it as the first single at my station. Just a one track CD though. Well, not true. “Two” playes 3 times in a row over three tracks. Odd way to format a single. Got the single as well. I’m told that is the old school way all radio singles were formerly released, seems odd now though…..
it appears that Lost Highway also uploaded “Halloween Head” to their server as well…instead of the (1) or the (2) in the url for the tracks, this track is (3). Did they intend to “release” this track as well? There are excerpts… not the full tracks. I’m about to download the mp3s. Let me say, and this is just for the record, that I am a bit giddy right now. I hadn’t listened to them yet, but you’re right. Having heard the full version of “Two” earlier this week, these are both long excerpts rather than the full tracks. Tricky, tricky. it sounds like Gold to me, and also like Ryan wants a good review and good sales. I hope I’m wrong but I don’t think I will be. I just hope he learns soon that the middle of the road is no fun, and he should stick to the ditch.